For Nuit Blanche, MFF 2010 offers a breathtaking view on digital artworks presented in the Brussels public space and all over Europe. Our building along the canal will be pulsating to the rhythm of the city, while signs and advertising displays will be transformed into virtual artworks. Other installations will be also shown on urban video screen and at iMAL. An unusual walk in the heart of the digital city! Postponed to this Sunday, 10AM, because of a demonstration in the city centre! 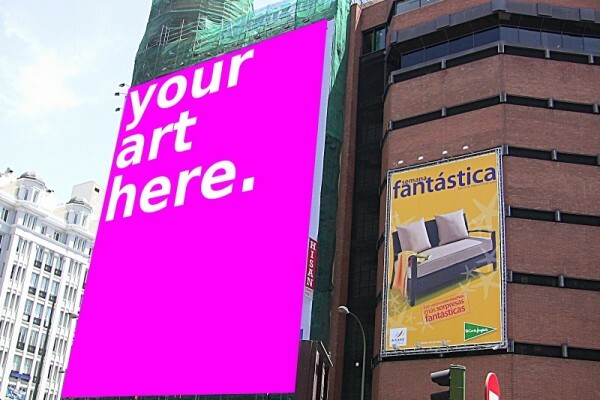 “The Artvertiser” is an urban, hand-held ‘Improved Reality’ project that re-purposes street advertisements as the surface for exhibiting art, through the use of specially built binoculars (or Billboard Intercept Units). During this “augmented” walk in the city, you will be able to discover visual creations realized by the participants of the Artvertising Brussels” workshop. Graffiti Analysis 2.0 is a project created by Evan Roth in which the motion data of a graffiti tag is recorded, analyzed and archived in a free and open database. 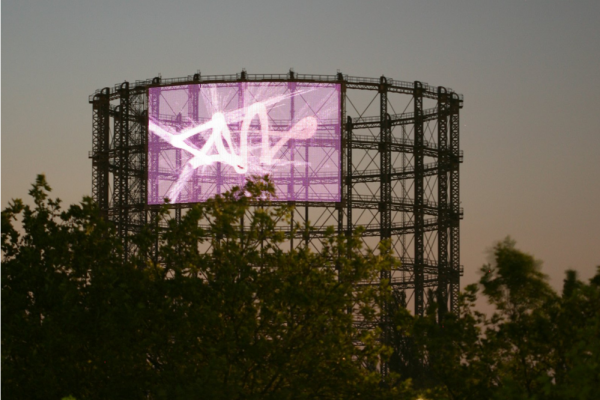 During the Media Facades Festival,graffiti makers are invited to record their tags, to be displayed on the urban screens and media facades of the festival. In Brussels, they will be presented on the Flagey Video Screen. In the demo version of this installation for media facades, 2 participants equipped with EEG headsets are constantly incited to negotiate their emphatic state. Linked through a relational device, their intimate confrontation is remediated in real time in a mirror projection. Since the festival opening, iMAL’s building has been transformed into a “low tech” and “low res” media facade using powerful LED spot lights. For Nuit Blanche, this installation will extend on the whole facade and comprise up to 18 pixels. Various artists (e.g. 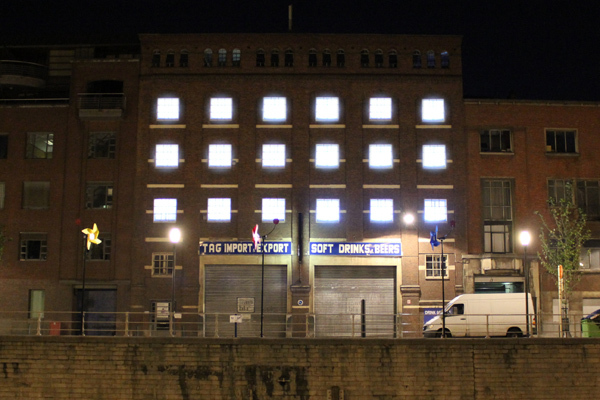 Stefaan Quix, Yannick Antoine) and students in digital art from ESA Saint-Luc Brussels will present light animations on the facade visible along the canal. City Sleep Light will close each night by transforming our building into the sleep light of the city, connected to its organic rhythm. All the lights will be pulsing together, turning the building into a luminous cell of the living city. Media Facades Partners: Belgian Posters and City of Ixelles-Elsene.